I had been to Chanthaburi province before on my previous trip to Thailand, where I checked out Chanthaburi gem factories. On this trip with TAT Mumbai, I had a chance to visit Chanthaburi region again, to explore the old town of Chanthboon waterfront. 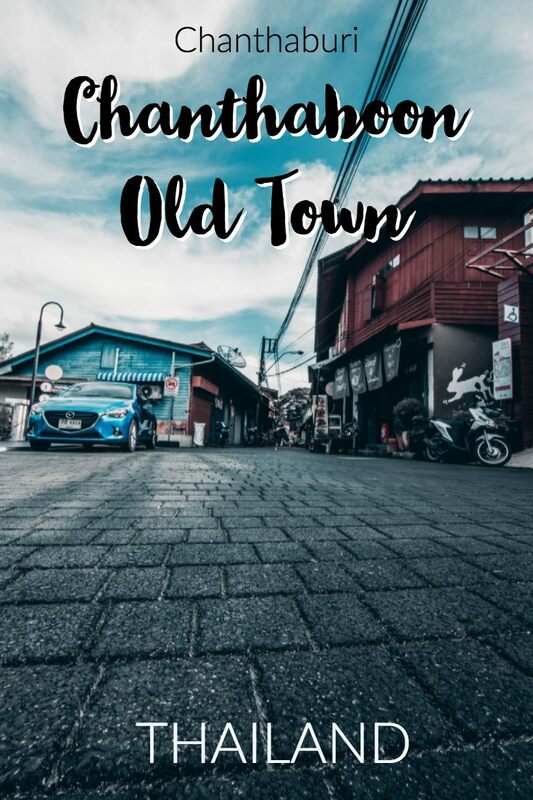 The old town is a regular town with a mix of people living their lives on the banks of the river, but its bygone years of charm, serenity and the rugged artistry has turned it into a tourist attraction, especially being popular among the several day trips from Bangkok. The distance from Bangkok to Chanthaburi province is about 2.5 hours, and it takes 3 to 5 hours depending on your mode of transport. 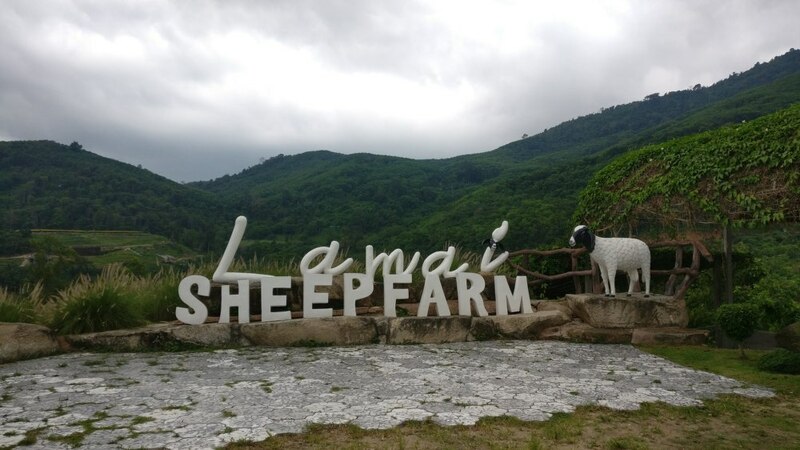 Our bus took off from Bangkok to Chanthaburi and it was a long drive to Chanthaburi making stops on the way to explore one of the attractions, Suan Lamai, a sheep farm. We reached Suan Lamai in the afternoon, and I loved the secluded location of this lovely. 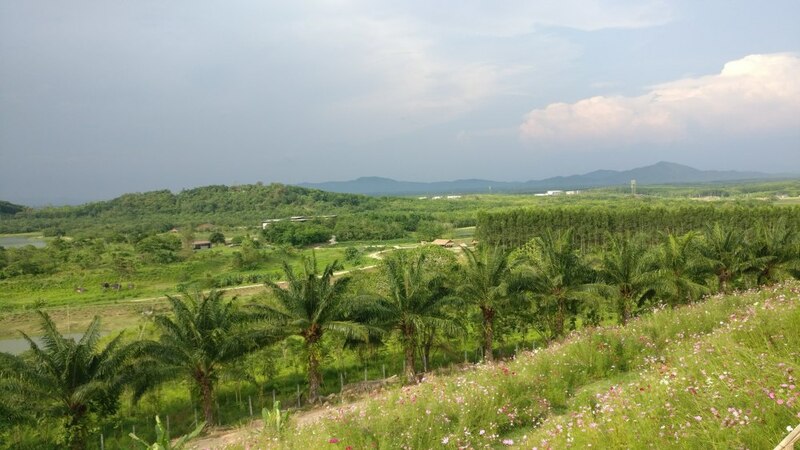 Surrounded by hills on all the sides, and valleys consisting of greenery, it was a pleasant sight to behold. Apart from the gorgeous location of the farm, a small trip around the farm would take you through a fruit farm where you can spot the seasonal fruits before ending your ride spotting the cute sheep obliviously enjoying their time in the farm. 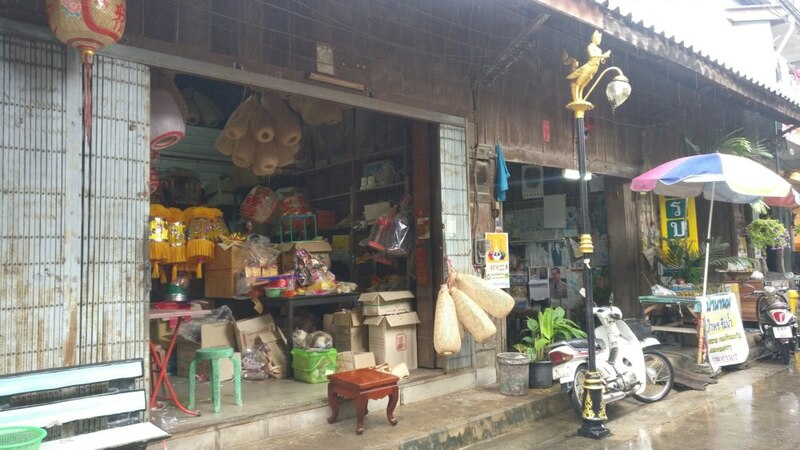 It is a small but an enjoyable stop if you are traveling to Chanthaburi from Bangkok by road. We stayed at Maneechan Hotel Chanthaburi after having our dinner on the way. 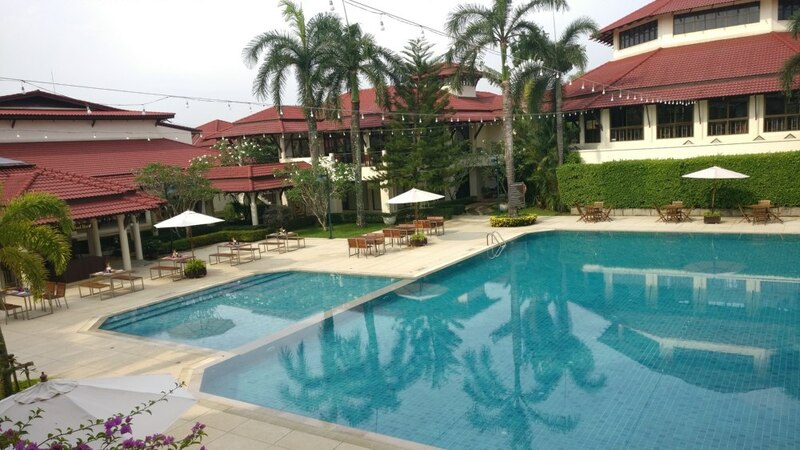 The luxurious Maneechan resort with huge pool, large gardens and swanky rooms were perfect for the night in Chanthaburi. Away from the main town area, the hotel is a great place to relax and indulge in a rejuvenating Thai massage while in Chanthaburi. province. 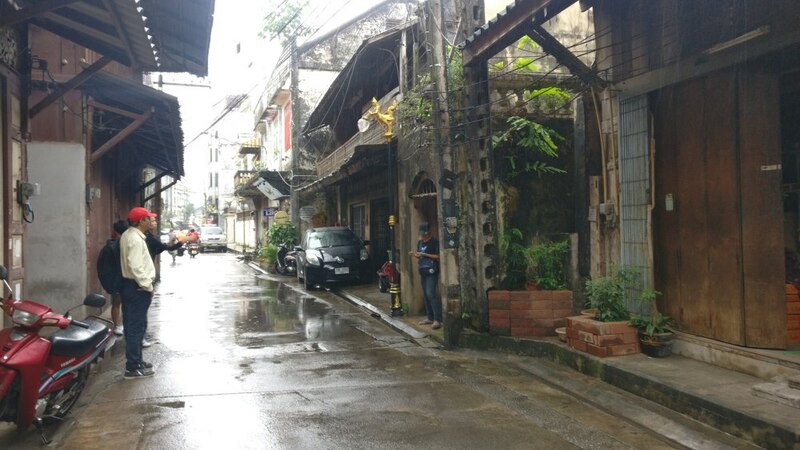 The moment we arrived, the clouds got darker and after a while, it started to pour as we stepped on the narrow and old streets of the Chanthaboon area. 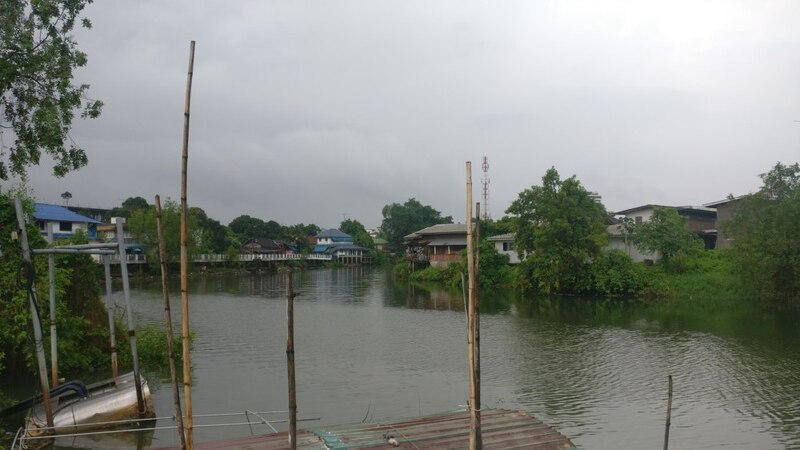 Located on the bank of the river, this area of Chanthaburi consists of a unique community comprising of the Vietnamese, Chinese and Burmese migrants along with a sparse local population, all of which have been living in harmony for decades. 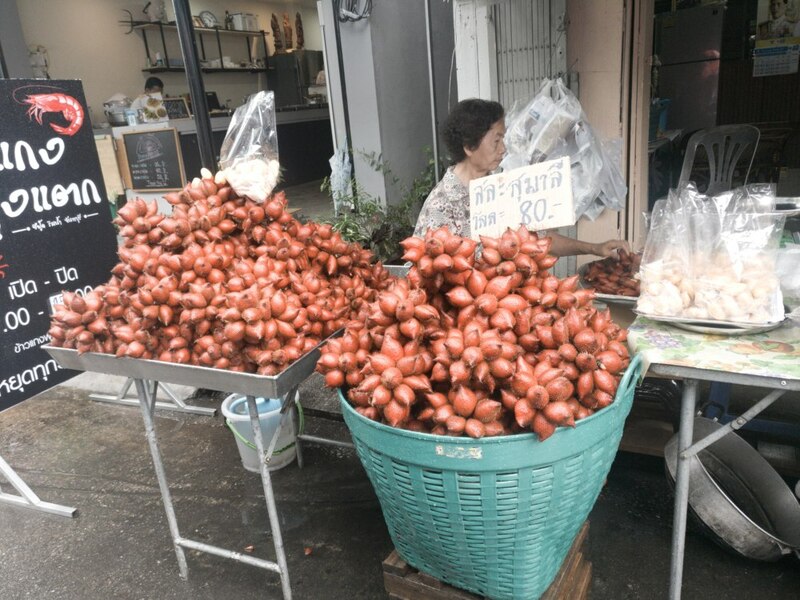 This area is also famous for the delicious local street food, which is considered the best in Chanthaburi province. 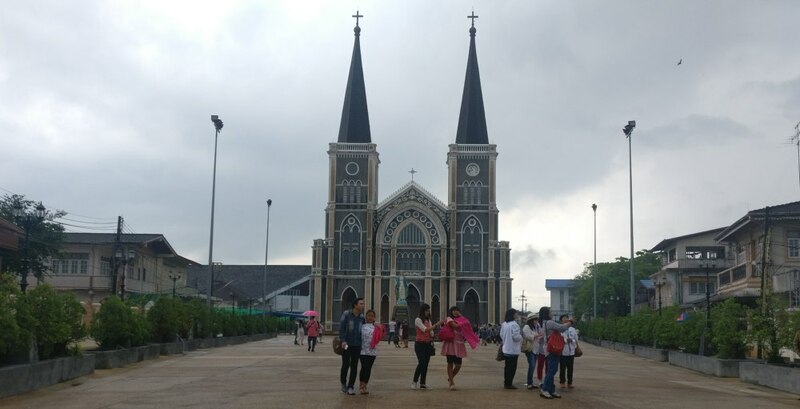 The community also was home to the French people for a brief time, and their influence is easy to spot in the structures and the magnificent Cathedral of Immaculate Conception located on the other end of the Chanthaboon area. What makes this province special is the diversity of the people, which makes it a potpourri of many cultures. Most of the buildings wear the ancient look, and people don’t seem to have bothered to modernise their properties. 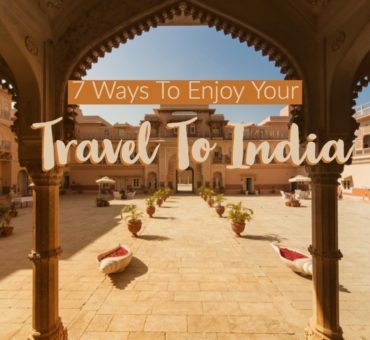 Hence, you’ll pass by many wooden buildings with some wall art, simple cafes, souvenir shops, and homes. Some homes directly open to the waterfront, or maybe their backyards is a riverfront! The community consists of a grand Buddhist pagoda, built in typical Thai style of architecture painted in bright red. 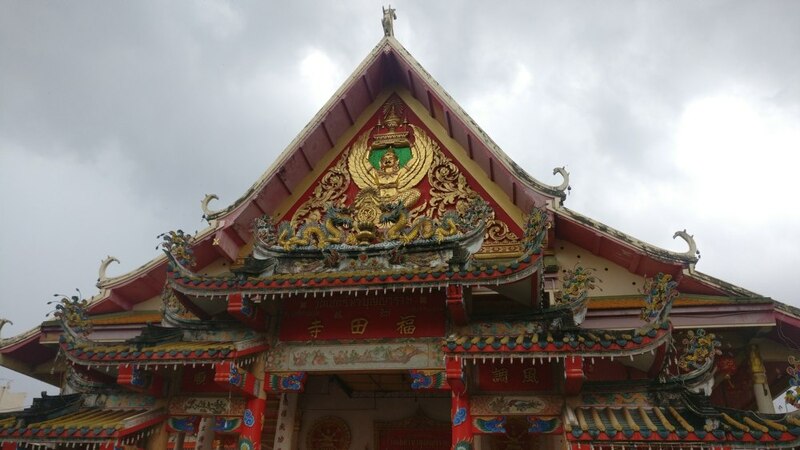 A few smaller Chinese temples can also be seen if you are a keen observer. The locals are used to the attention that they get from the many tourists they encounter every day. They are happy to have you there and don’t hesitate to indulge in a light chit-chat. I smiled at an old lady as she was parking her two-wheeler in front of a cafe that we were passing by. She not only smiled back but welcomed me to the old town and wished me a good day. If you love capturing a place through your lens to let the pictures talk and tell the tales, this is a great place to head to in Chanthaburi province. We bid goodbye after a few hours in the old town to head to Rayong. After spending a quiet time in the riverfront, it was time to hit the beaches at Rayong! 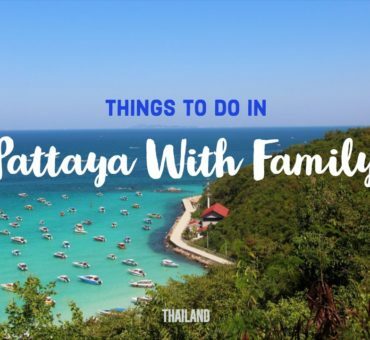 Have you been to this area of Chanthaburi in Thailand? 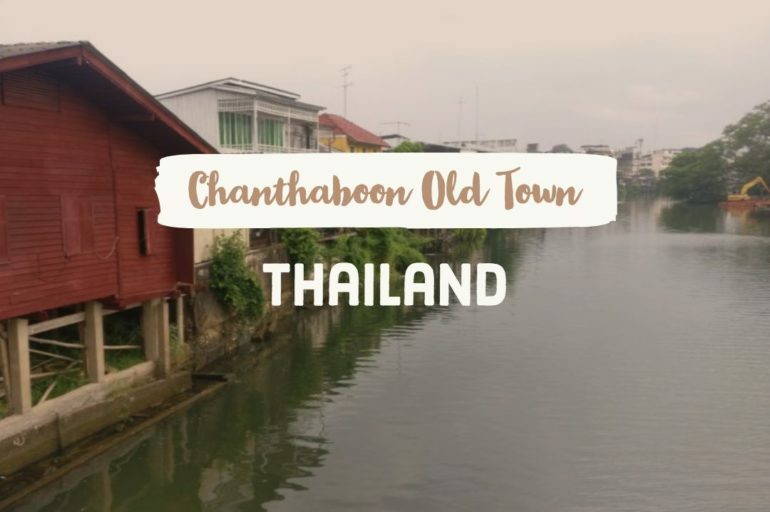 If you are looking for options to go on day trips from Bangkok or Pattaya, include the old town of Chanthaboon. Let me know if you have any questions.